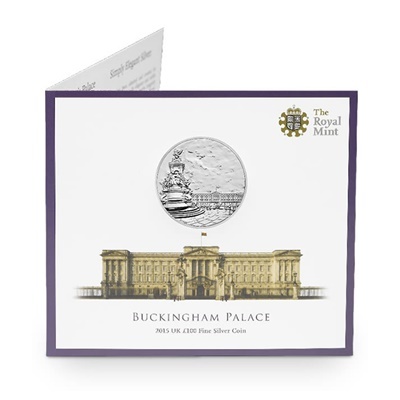 This £100 silver commemorative coin captures the timeless majesty of Buckingham Palace, its symbolism and standing. More than a monument, it’s a family home and the nation’s palace. Over time, Buckingham Palace has been extensively remodelled and transformed. Steeped in history and grandeur it may be, but behind each new wing, arch and elegant facade, it’s still a family home. As royalty’s relationship with the British people has evolved, a new accessibility has taken root. In 1993, The Queen announced that the doors would open to the public for the very first time in its history - truly the nation’s palace. Each coin is beautifully presented complete with a fascinating history of the palace. 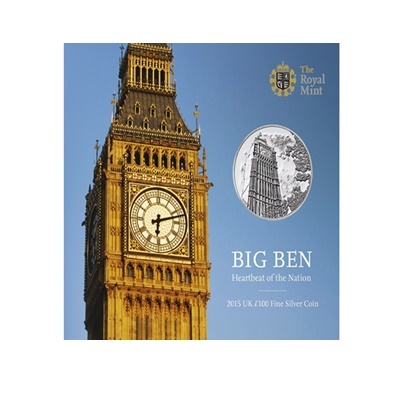 It is only fitting that Glyn Davies and Laura Clancy’s original portrayal of this iconic building has been chosen to adorn this extra special silver coin - the second in the series.